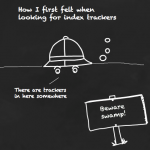 Trust no-one: That’s my motto when searching for index trackers. Most fund comparison sites are either riddled with errors or feel like an exercise in mental cruelty. And with passive investing being the itchy boil on the cheeks of the investment industry, perhaps it’s no surprise they don’t rush to tell you how to find index funds. In fact, I’ve yet to discover a one-stop ‘Trackers-R-Us’ experience that delivers a pain-free, passive-product picking experience. First decide which asset class you want to track, then use the following method to find a suitable index fund. Morningstar is a renowned source of investment fund data, and its fund screener is relatively user-friendly and up-to-date. There are plenty of filters to play with, but as passive investors we only need a few. 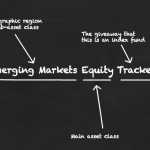 Broad Category – set to Equity. Morningstar Category – use to select your asset class e.g. Global Emerging Markets Equity. Tip: Use the Morningstar Category to pick an asset class but ignore the IMA Sector filter. Morningstar is far more conscientious about accurately labeling funds according to its own classification versus the IMA’s. For instance, searching under the IMA Sector’s Global Emerging Markets tag means you’ll miss out on Vanguard’s emerging markets index fund. Investor Type – set to non-institutional. Max Total Expense Ratio – set to 1% for emerging markets (for most asset classes I’d set the TER around 0.5%). We want to rule out as many of those expensive active funds as possible. Max Initial Sales Charge – leave it set to ‘Any’. Bizarrely, if you go for 0.5% (the lowest setting) then the screener knocks out all the funds Morningstar hasn’t inputted an initial charge for – including all the index funds! Like me, you may spend some time searching wistfully for a tracker-only filter. It doesn’t exist. Next hit ‘search’ and behold your shortlist. It will be a jumble of active funds, index funds and institutional funds (that non-institutional filter is more of a novelty button). Unfortunately, unreliable data-entry makes these Morningstar results useful as a rough guide only. But first things first: let’s put ’em in an order that makes sense for passive investors i.e. we want the cut-price funds at the top of our list. Hit the Fees and Details tab, then press the TER hyperlink a couple of times until the cheapest funds rank at the top. Now you’ll be confronted with all kinds of juicy sights. For example, Aberdeen Emerging Markets looks amazing value – TER 0.22% and no initial charge. But a quick look at the factsheet reveals this to be a Morningstar mirage. The real TER is an eye-watering 1.88% with a 4.25% initial charge. Morningstar’s erratic TER rankings mean there’s no easy way to spot the index funds. The best method is to scan your shortlist for funds with the word index in the name e.g. L&G Global Emerging Markets Index or Vanguard Emerging Markets Stock Index. Disregard the Min Initial Purchase information, too. It’s often wrong. Vanguard index funds are quoted as requiring an initial purchase of £100,000, but this is only true for investors buying directly from Vanguard. In reality, you can buy these funds from retail platforms from £50. So if you can’t trust the basic information, what’s the point of using the service? Well, Morningstar is good for a snapshot of the market. You can be reasonably sure that it’ll list every index fund out there. The trick is picking them out of the murk and not wasting time chasing hot leads that turn into dead ends. 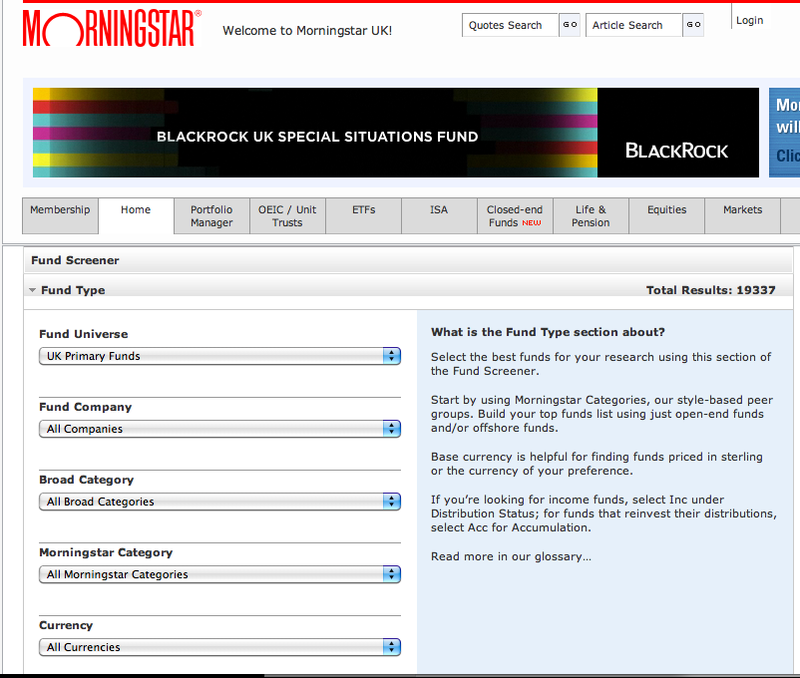 Morningstar also offers a fund quick rank tool that some might find easier to use. There are other filters, but as a rule with screeners, the fewer boxes you tick, the less chance your search will miss something important. I prefer to start with as wide a sweep of the market as possible, and then narrow my focus onto the most promising candidates. 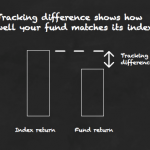 Use the tracker filter and the IMA will only dish up index funds. There aren’t very many – but that’s the UK for you. It doesn’t help that the IMA’s screener ignores Vanguard funds. It also tends to be a little out of date, lagging behind fund launches and current TER info. But it does score highly for ease-of-use. It’s also a useful mopping up exercise after Morningstar – a reassurance that you haven’t missed anything. And it provides a quick guide to the firms that are serious about index funds, so you know who to keep an eye on in the future. With a shortlist picked from Morningstar and the IMA, it’s time to dig a little deeper. As we’ve seen, fund-finder’s data should be treated with caution, so the final stop is the product provider’s website. From there, you can bone up on the fund using the available literature to make sure it’s as good as it looks. Trustnet is a good alternative to Morningstar. I personally prefer Morningstar because Trustnet’s screener doesn’t rank by TER. The FT’s fund screener is nice and pink, but also obtuse and slow. It filters by annual management charge (AMC) rather than TER, which is pointless as TER is the truer measure of price. The FT’s service is also less timely and data rich than Morningstar’s. With practice, you’ll be able to use the Morningstar and IMA screeners to sweep asset classes for index funds within minutes. ETF exploration is a different bag of bananas. I’ll delve into that next time. P.S. Do you have any special insights into how to find index funds? Please let us know in the comments below. How good is your tracker? Use tracking difference to find out! The most interesting part of MorningStar is providers that offer several juicy index tracking funds with really low TER’s that are tucked away out of reach/sight for retail investors by extremely high minimum sizes (£250k for the BlackRock/BCIF funds; £500k for the F&C funds high TER; IP trackers £500k) i.e. total lack of interest in selling retail. There’s at least a handful that look great aside from impractically high barriers of entry for most private investors. Clearly, it’s not in their interests to sell such products to the likes of you and I (BlackRock, case-in-point, will happily sell you an ETF via iShares very much like the BCIF funds… but wait, where there’s ETF’s, there’s trading costs.). There are also the “well known offenders” in the platform-barrier stakes e.g. Vanguard/DFA, which are practically inaccessible. E.g. Vanguard only on Alliance Trust (and controversial initial fees) or DFA size/IFA platform constraints. Seems like HSBC are the only provider willing to reach out to the “little guy” with low TER trackers with no practical minimum investment size constraints and available on many platforms. L&G is second best but has higher TER – that’s your lot. Really sad state of affairs. I also would shy away from using IFAs, as under current regulations they make best profit by directing people to funds that offer greatest commission. Not very “independent”, and I think it hits “poorer” investors harder. I’m sure most are completely honest, but that is a huge temptation when a high fee fund will offer a significant percentage cut of the initial/ongoing investment to the IFA, whilst the likes of Vanguard will offer little or nothing. 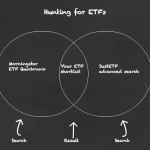 It seems that Vanguard in particular are making life difficult for themselves, various forums on the internet are teeming with people wanting to get into Vanguard tracker funds in UK, but their minimum investment amount makes it prohibitive. I know they are probably trying to bulldoze the platforms into commission transparency, but I think the most effective way to do that would be to offer direct sales, and then the platforms would be obliged to react in order to avoid losing customers. You can get Blackrock trackers via Skandia. A combination of Skandia’s management fees and no ISA compatibility for the funds made me think better of it. While I agree with the general sentiments it’s difficult to blame Vanguard for trying to demystify an industry that uses more smoke and mirrors than David Copperfield. HSBC were quite happy to charge fat TERs around and above the 1% mark until the very day that Vanguard launched their funds in the UK. So I guess that’s one good deed Vanguard did for the little guy. There is no minimum investment amount for Vanguard, unless you’re referring to the trading fees, which makes things very difficult for small investors. I absolutely agree, Marc, that they should offer direct sales. One of their strategies seems to be, like DFA, to work in alliance with certain IFAs. I suppose that’s partly a marketing/educational play – to ensure that people walking through the doors of IFAs actually get to hear about Vanguard in the first place. That has to be a good thing to some extent. I only wish I’d bumped into a Vanguard IFA the first time I sought out professional advice. Indeed, for me the issue is that I want to open a S&S self-select ISA with just one provider (to avoid fragmentation by needing to open other S&S ISAs elsewhere over the years, simply to gain access to the funds I want). However, getting one that has access to all of the funds I am interested in (Vanguard, HSBC, L&G), allows international trades, and does rip you off with weird and wonderful charges (like the infamous cheque charge from Alliance Trust for withdrawals – no electronic withdrawals is a poorly disguised money-grab). I’m basically sitting here waiting for the right moment to move. Would rather not sit around for too long – interest rates on cash are terrible and inflation is creeping up. Shall we make a new Passive Monevator S&S platform ;-)? Low-cost funds only (TER < 1%), up-to-date information and unbiased listings (no sponsored listings magically appearing as top item), a site design that is usable and uncluttered. No furtive charges or lock-in schemes that prevent you from leaving. In fact, there should always be a distinction between a fee and a charge. A charge would represent exactly what it costs the company, whereas a fee would represent a transaction that the company makes a profit upon. Transparency, wouldn't that be nice? Oh, and no pointless "shares you should have bought last month" retrospectives! Heh. That’s a beautiful dream and a compelling vision. But even if that dream provider existed, I still couldn’t risk all my cash with a single institution. Multiple brokers/supermarkets are just another level of diversification. The single provider offering only the choicest of funds is a spreadsheet on my computer. Hi, thanks for the wonderful articles. I’m a new investor and have a really simple question that I can’t seem to find a clear answer to, perhaps you could help me. I’ve read on your site that index funds are more cost effective than ETFs because there are no dealing charges, but I can’t find any platforms which allow you to buy funds without dealing charges. I understand some funds waive their initial charges, when you buy from for example Hargreaves Lansdown. However, I believe Hargreaves Lansdown will still levy their dealing charges whenever you buy and sell. Am I missing something here? Would be grateful for any clarification, thanks!